Sprout‐H™ is a compact, modular, diode‐pumped solid‐state (DPSS) laserproviding up to 18 Watts continuous‐wave (CW) power at 532nm in a near perfect TEMoo mode with extremely low optical noise and excellent long‐termstability. 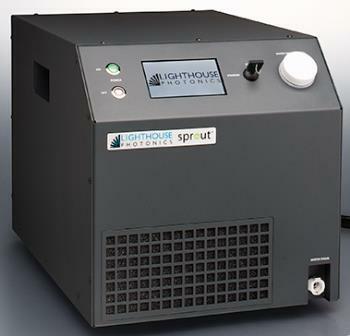 Sprout‐H™ is truly a next‐generation laser designed and manufactured using many years of experience to provide a sealed, turn‐key source of collimated green light with high spectral purity. There are 7 versions available ranging from 5 Watts to 18 Watts. The laser head is a monolithic 3‐dimensional design for ruggedness and compactness. 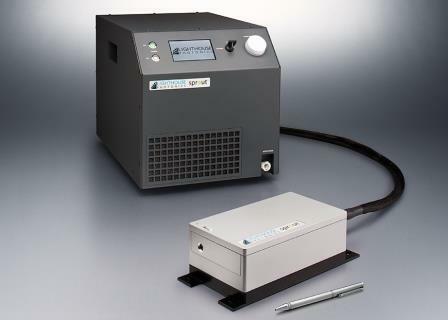 The pump diode, integrated inside the laser head, has a typical mean time to failure (MTTF) of more than 50,000 hours to minimize cost‐of ownership. The laser head can be disconnected from the control cable for easy integration. The power supply contains an integrated thermo‐electrically‐cooled (TEC) chiller. This ultra‐quiet, purpose‐built chiller is engineered to provide excellent reliability and reduced overall system footprint. 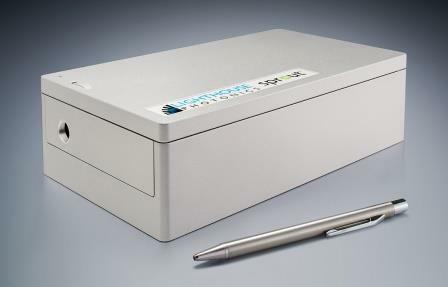 Additional features of Sprout‐H™ include automatic laser power control and USB, RS‐232 and Ethernet interfaces for external monitoring, control and remote service. • Excellent value. Contact Us today for an competitive quotation. 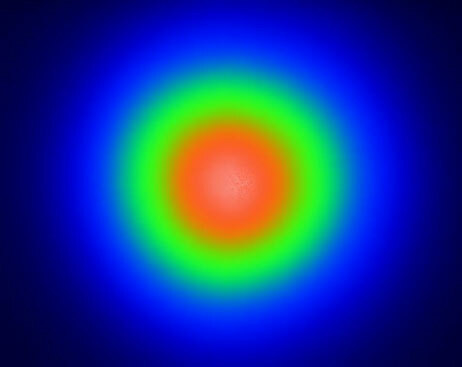 Copyright © Lighthouse Photonics - All rights reserved. Lighthouse Photonics provides CW diode-pumped solid-state (DPSS) green lasers for scientific research, industrial manufacturing and life sciences.